Hello again readers, I didn’t expect to be back with you all quite so soon after my last article, but as always it’s a pleasure to be able to write for you. Today, I’m going to be going over my tournament experience in Brazil this previous weekend. As you probably know, it turned out much better than I could have hoped for. Finishing 5th at 10-2-3 I secured my Worlds Invite by the end of the first quarter. I’m going to be covering what led me to play the deck that I did, potential changes, matchups, and thoughts on the deck going into Virginia this coming weekend. You hear stories of how people pour hundreds of hours into testing for these major events. However, I don’t have the time to be able to do such things which is likely why my list was far from optimal in my opinion. As I mentioned to a couple people when asked, I actually played zero games with my final list before the event. I had basically tested every possible concept at some point or another, as evidenced by my previous article, but none of them really stuck out to me. In the weeks leading up to the event, Wes Hollenberg and I had tested a Buzzwole/Ninetales list with 4 Custom Catcher, but I had written it off due to my fear of Malamar and Granbull. Somewhat late into Thursday, after yet another failed idea, I played another game with our Buzzwole/Ninetales list, and it was the first deck I’d played all week that was actually enjoyable to play and actually won games. However, my fear of Malamar led me to butcher our original list, where I cut the Custom Catcher for a 2-2 Lycanroc-GX line and a 3rd Vulpix for the Girafarig LOT. At that point in time, I was feeling pretty down, and just couldn’t bring myself to play another game of Pokémon, so I just stopped testing since I had essentially decided on BuzzRocTales. Had I continued to test, I’m quite sure I would have been able to optimize the list, but alas, I did not. One of the greatest reasons I had for playing this deck was that it can feasibly beat literally any deck. There was never a time where I sat down and thought “Well I guess I lose. Oh well”. Yes, it has unfavorable matchups, but they are all very winnable. Since I had quite a diverse matchup spread, I’m going to give a round-by-round report of my event whilst explaining the matchups as I go. Ironically, this is probably one of the few decks I had literally never played with or against, despite all the hype it saw. Because of this, I had no sound game plan, I assumed I was going to lose the match because they can hit weakness on both Buzzwole-GX and Lycanroc-GX. I also learned that Hoppip has Fighting resistance. Bearing all of this in mind I developed my extremely intricate game plan: Let Loose on turn 1 and pray. This strategy worked like a charm in game 1, and my opponent quickly conceded. In game two I again used Let Loose, but it was less effective because I had gone second. Even though my opponent drew a Cynthia, he couldn’t seem to find any combination of cards that would help him. Within 10 minutes of the match starting, he had conceded game 2. In the future, I would play this matchup by using Let Loose as early as possible, and using Alolan Ninetales-GX to attack. This was by far the scariest match I played all of day 1. In game 1 my opponent started with a dead hand and conceded very quickly. In game 2 however, I was going second and this put me at a serious disadvantage. I kept the game close, but I was unable to secure the win, in part because I was inexperienced in the matchup. In game 3 I was able to target down his Malamar fast enough to where I took six prizes before he did. I won when he was unable to find the Tape Lele Promo or Necrozma-GX to clean up the hundreds of damage counters his Shining Arceus had placed. As for how this matchup is supposed to be played, we are supposed to use Alolan Ninetales-GX to target down Malamar as fast as possible to prevent our opponent from being able to sustain attackers. This matchup is in part why I chose to include the Girafarig, because being able to Lost Zone two of your opponent’s energy cards in the early game is huge. 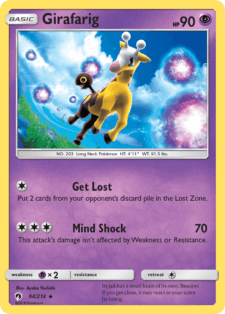 In reality, Girafarig was too much of a gimmick in this matchup, not really a viable strategy like I had hoped. This is probably our strongest matchup. They have no good way to take one shots, as long as we limit our bench and abilities, which is fairly easy. In all 4 games I pretty much ran them over without much fear of even dropping a game. 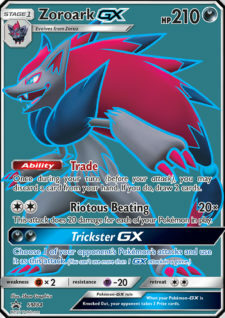 The whole strategy here can go in many different directions, one possible direction is to just sweep your opponent’s field with a single Lycanroc-GX, and then follow it up with Buzzwole FLI for your last 2 prizes. The other strategy is really just the same thing, but with Buzzwole-GX. 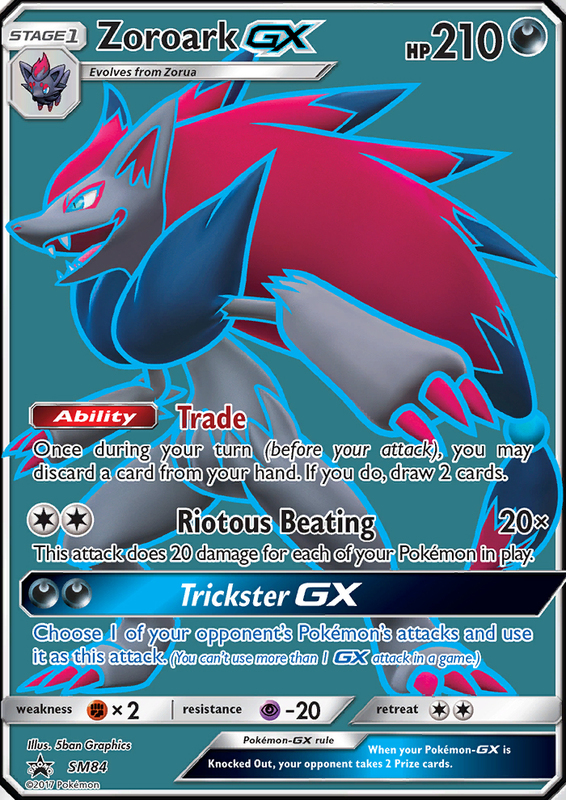 Our opponents will be forced to bench multiple Zoroark-GX to even stay in the game, so we can just systematically target them down for easy prize cards. There are really two ways this can go. I can run my opponent over, or they can run me over. Both of these games never advanced past my turn 5, simply because of how fast we both take our prize cards. The matchup really comes down to who can enter the Beast Ring phase first. I managed to take the first GX KO both games, so I was the one able to use the last Beast Ring. If they do not play Energy Switch like my opponent, it becomes incredibly difficult for them to answer a Buzzwole-GX once I go down to 2 prizes. Generally, if you go first, your first energy attachment should always go to a Vulpix, which allows us to Sublimation-GX on turn 2, which infallibly gets us to 4 prizes first. If they try to go aggro Naganadel, we can use Snowy Wind, or potentially a heavily damage modified Jet Punch to KO a Poipole early on. It is vital that we manage to get down at least 2 Beast Rings on the turn that we are able to, otherwise it can be difficult to close out games. 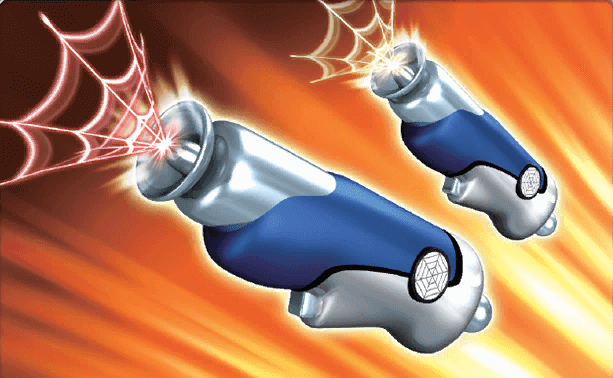 Going forward, I feel that Blacephalon lists will advance far beyond what they were in Brazil, and they might start to pose a threat to Buzzwole. As they are right now, the matchup feels heavily favored for Buzzwole. This is a deck with an overall strength that surprised me quite a bit. Going in I expected just another Zoroark deck and a relatively free win. I was so wrong. This is the deck that I feel has a ridiculous amount of potential going forward, and I personally want to test this deck quite a bit. From what I remember, I came very close to losing both of these games, but was able to pull it out in the end. In this matchup, it is important to be careful of Sublimation-GX. This forces us to limit ourselves to have only one or zero Buzzwole-GX in play at a time. If they take a GX KO early on without using Sublimation, the matchup becomes very difficult, mostly because we are now forced to play around both Sublimation and Weavile. In the late game, our abilities tend to really stack up, and if we ever have 3 or more in play, Weavile is a major threat to a Buzzwole-GX. My best advise for this matchup is to draw the Sublimation-GX out as fast as possible by leading a Buzzwole-GX and taking KOs as fast as possible on Sneasle, Ditto, or Zorua. If you draw the Sublimation-GX out, you can reasonably sweep the rest of the game with 2 more Buzzwole-GX and 2 Beast Ring. So, anyone who knows me knows I joke about having a stream curse. My record on streams is abysmal for whatever reason, so I just knew that I would hit a bad matchup once they finally decided to stream me. Of course, it gets even worse if you watch my prize cards on this round of stream. I’m not going to blame bad luck as the reason for my loss, but it was certainly a part of it. The game is out there for all to see, so I won’t go over it, but I will talk about the matchup itself. It feels incredibly dependent on who wins the coin flip and what cards are prized by both sides. The goal of the Buzzwole player should be to target down the Magcargo, Zebstrika, or Oranguru in that order. This will cripple their deck, all the while making Diantha a dead card. Just the normal old unintelligent ID to get into day 2. It worked out for both of us, though. It is still unintelligent to do this 90% of the time. Moving on. So, I’m not really sure what this deck actually did, but it was 6-1-1 at the time, so it was clearly decent. It wasn’t a mill or control deck, just straight attacking Zoroark. I kinda just ran it over because Buzzwole likes to KO Zoroark-GX. The strategy here is to just not dead draw and KO stuff with Buzzwole-GX. Again this matchup was streamed and I already talked about how to play it. Next. This is the matchup that I was wondering about all of day 1. I’m definitely going to go much more in depth with this matchup because it might be very important for Virginia. I was unsure if I would actually be able to beat it, so I was somewhat nervous going in. In game 1 I go to search my deck for a switch with Mysterious Guidance, and I realize that I managed to prize both of my copies. Oops. However, since losing Game 1 against a Zoroark Control player is tantamount to a loss, I had to find a way to win the game. I used my first 2 Guzma to take 3 prizes and I still hadn’t drawn one of my switch cards. I knew that if I was Counter Catchered again, I would be forced to use my last Guzma and then hope I drew a switch off of that prize card. Luckily, either he didn’t Catcher that turn, and/or I finally drew the switch off the 4th prize (I really cannot remember this for the life of me). I was able to Gust effect up a damaged Zoroark-GX for my last 2 prizes and won game one with 30 minutes remaining on the clock. I did all of this while expending at most 6 energy cards in that game, so I could have lasted quite a few more turns there. Going into Game 2, I knew that my opponent would have to start taking KOs at some point in the game because there was no way he could deck me out or discard all of my Energies in 30 minutes. So after about 20 minutes of the typical stealing KOs and having energy discarded, he was forced to activate Beast Ring. This is where I majorly screwed up. I was trying to be cute by only attaching one energy with the Beast Ring so Articuno-GX would have a minimal effect, and I attached another Basic Energy to my apparently damaged Lycanroc-GX. You see the problem yet? Well, since I didn’t attach the second energy to my active, he was free to target down the Lycanroc-GX without fear of being KO’d in return by my Buzzwole-GX. This mistake almost cost me the game, but he was unable to find the Guzma that he needed to KO my Marshadow for his last prize, and I hit the combo that I needed to win the game. In general, this matchup feels very favored, because they have absolutely no way to discard the Energies from your deck. Because of this, we can play each of our Energies at one point or another, and we play quite a few of them. The biggest thing to do in this matchup is to use each of your Professor Kukui to take a KO on an Oranguru. This takes us down to 3 prize cards. You will generally be able to pick off a Zorua on your first and/or second turn depending on the coinflip. This leaves us at 1 or 2 prizes remaining. At some point during the game, it is likely that you will be able to Gust effect up a Zoroark and KO it with some combination of previous snipe damage and/or Beast Energy, Choice Band, and Diancie/Kukui. This game plan wins us the game rather easily in my opinion. However, sometimes the greatest thing to watch out for in this matchup is your opponent themselves. Thankfully, my opponent kept a relatively quick pace of play during our match, so it wasn’t an issue, but Zoroark Control decks typically win 1-0 after going to time in a match. If your opponent seems to be taking a little too long to make their plays, never be afraid to tell them to speed up or even call a judge if they keep playing at an illegally slow pace. Also, remember that things such as checking their discard and rifling through the hands do not count as actions because they do not further the game state. In this same end, never allow yourself to fall into the trap that is winning game 1, and thinking you yourself can play slower in an effort to win by the clock. Maintain your normal pace of play and make sure your opponent does as well. This isn’t the only matchup where this is relevant, but it’s certainly the one that is the most important. I’ll leave it there on this topic, but my point remains: If you feel your opponent is not maintaining a legal pace of play, don’t be afraid to do something about it. Initially, I thought this was going to be an easy match that I would use to lock my place in Top 8. I was only right about one of those things. This was probably my most hard-fought win throughout the entire event, simply because of how consistent this list was. In game 1 I won on the last possible turn, using Guzma to take a KO on a Zorua that had to be benched for Riotous Beating damage. In game 2 I drew my first completely dead hand, starting lone Vulpix and doing literally nothing. I even managed to forget that Beacon was an attack, opting to simply pass, assuming he has the DCE for the win. He didn’t. OOPS. I actually managed to take a KO on the Zoroark-GX that turn by evolving to Ninetales to find a Switch and Ultra Ball for Buzzwole. I then dropped Kukui, Choice Band, Beast Energy to KO the Zoroark. 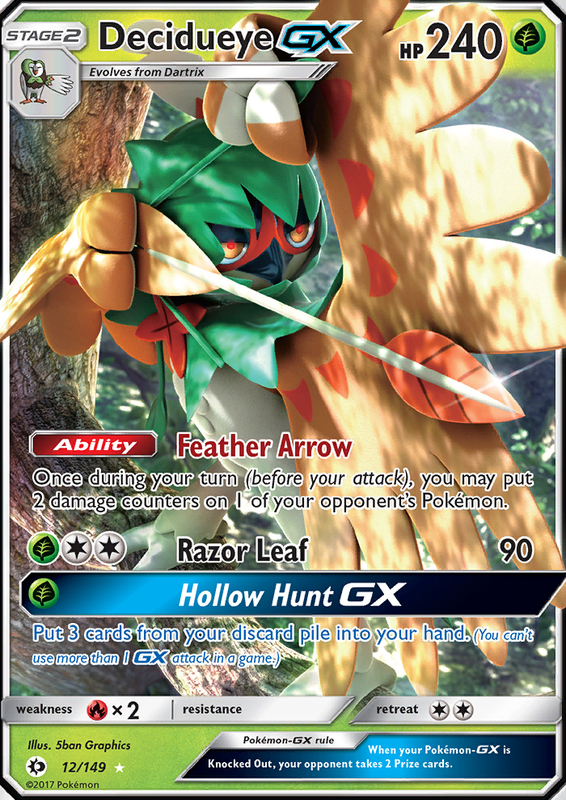 Too bad I really didn’t have an answer for Decidueye-GX the next turn, and lost once we skipped the Beast Ring turn. Ironically, this is literally the only game Girafarig saw play, and it was to not get benched. In game 3 my opponent missed Rare Candy for 2 pivotal turns in a row, and I took a commanding lead. The matchup really comes down to how fast the Decidueye-GX get into play. You should always target down the basic that there are the least of in play, assuming you can KO them. I don’t think I actually took a KO on a Decidueye-GX in the entire event, so that just goes to show you that Guzma and Bloodthirsty Eyes are the only way we really take KOs here. I took intentional draws to Danny and Pedro Henrique in the last two rounds. One of those was a mistake that I believe lost me the event. I knew that If I finished with 33 match points, I would likely be first or second seed going into top 8, but what I failed to realize was that I would likely end up playing a 31 rather than a 32 because of natural ties in the round before. Simply put, I should have conceded Round 14 to Pedro so I couldn’t play against Clifton’s insane ZoroDeciTales build. Oh well, that’s hindsight for you. This is the matchup that I had been dreading from the start. I had conveniently managed to avoid it until Top 8, but sadly that trend could not continue. Between the speed, broken GX attack, healing and the ability to skip Beast Ring, there was really nothing I could do to soundly win this matchup. I gave it a good effort here, but there’s just too many things stacked against me here. Counter Gain allowed Ninetales to use Snowy Wind or Sublimation-GX for a single attachment, which was perfect for taking 4 prizes in 1 turn. Our strategy here is really just target down as many Vulpix as possible during the early game, and then stealing 2 KOs on Zoroarks later in the game. There were obviously some matchups that I didn’t hit during the event, so I’ll cover those really quick. In this matchup we now have Alolan Ninetales to one shot Rayquaza early on, and the rest of the time we can use Beast Ring to seal the game in our favor. This matchup just feels like an easier Blacephalon to me. Again, this has a very Blacephalon-esque feel to it. I see it as whoever gets to 4 prizes first probably wins the game. You can make some cute Sublimation-GX plays here, but so can they. I would avoid setting down more than 1 Buzzwole-GX at a time, as to avoid getting punished by Ninetales. When you go down to 4 prizes, it is vital that you target down a GX rather than the baby Buzzwole they likely just attacked with. This includes both the traditional spread deck and Passimian. It’s a difficult matchup to be sure, but is very winnable. Your goal should be to Jet Punch enough to where you’ve taking a prize and another Pokémon is primed to be KOed. Against Passimian, they likely have to KO your Buzzwole-GX at this point, so you can usually take at least 2 more prizes with Sledgehammer before they KO the baby Buzzwole. At this point, it’s probably 3-3 on prize cards, and you just need to race them to the finish. In theory the card is decent. It can disrupt the Control decks, scramble some Alolan Eggs, and mess with Malamar. In practice it’s Ultra Ball fodder. I guess I should have tested games with it before the event. To be honest, not playing 4 of these was a blatant oversight from when I converted from the Custom Catcher version. There really should be 4 in the deck. 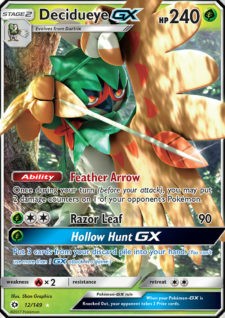 This card just feels like it could help the Decidueye matchups. Being able to attack with Dangerous Rogue after they skip the Beast Ring turn feels very strong. So I may or may not have forgotten Lisia could search for Ditto, and opted to not play it because I couldn’t search it very well. Now that I have been enlightened to this fact, it opens quite a few options up for us. Machoke is very obviously a mirror and Decidueye counter, but I haven’t actually tested it to see if it works. Muk is in turn a Granbull counter because it shuts off Oranguru. And finally, Weavile provides another cheap one prize attacker that can do insanely high damage. The one Multi Switch I played was incredibly good, but I found that once I used it, I wanted to do it again later in the game. I think that including another energy switching card could be very strong. I’m currently not quite sure which of the viable 3 Stage 1s—Weavile UPR, Machoke GRI, and Alolan Muk SUM—if any, I like right now, but they all have something to offer in matchups that were previously sketchy. Going into Virginia, I’m very hesitant to pull the trigger on Buzzwole again, because I feel that people are going to run back to their precious Malamar decks in an effort to beat Buzzwole and Zoroark Control. However hesitant I may be, it’s still the same format that I quit testing on the Thursday before the event due to frustration with it, so I might not have the patience to keep testing it. Moral of the story here is that Buzzwole is pretty darn good, Blacephalon is also going to be really good once lists get better, and Zoroark Control really isn’t as good as it looks like based on the results. Anyways, it’s been a pleasure writing to you all so soon. As always, if you have any questions feel free to ask me in person at the events or PM me on messenger or something. See some of you all this weekend(ugh) in Virginia. Until the next one.